This is definitely the platform I am not willing to use, no matter how I hear about it lol. Not fanatic of talking, more of writing and even less a fanatic of pictures and personal branding through image. Still, I can’t understand how people use it. I’m glad to hear that. I hope we can talk about it when I get my internet back. Snapchat is the future. I am now ready to engage in your comment. 1. You can do more than talk with Snapchat. You can write, send pictures, videos or just WRITE. I use Snapchat to talk about a lot of things. Especially the projects I am working on.And I get so much engagement from my Snapfamily. 2. It is intimate. If you use WhatsApp, you may have used voice notes. Imagine being able to send video notes? You can send Snaps to individuals as well as to your story. Remember, when Facebook came, everyone thought it wasn’t going to last. Now, tell me, who isn’t on Facebook? Like other platforms, Snapchat users decide how they want their stories to be. 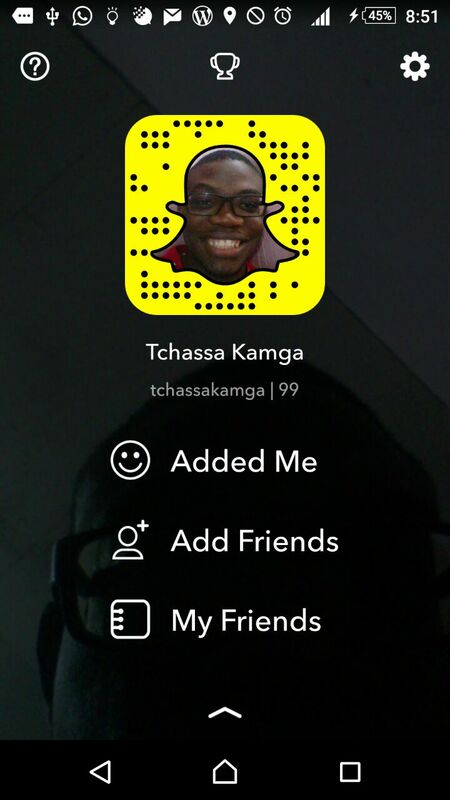 So, if you come across “boring” snaps, then maybe you should get new snapchatters. Personally, I enjoy Gary Vaynerchuk’s Snap. He is an awesome entrepreneur and a hustler. Kevin Hart is as funny as we know. But, you don’t have to join it if you don’t want to. I just think it will be around for a while and it could be used to do some good work. Lol. I appreciate the efforts. In fact, I am not a social network girl so I don’t get that habit to try all social networks platform. When I start using one, it is really because it serves a specific purpose to me. Currently, just like I don’t see the specific usage I could do of INSTAGRAM (which is still a wonderful platform), I don’t see the specific usage for SNAPCHAT. Maybe one day, it may serve.